Benny Green possesses the history of jazz at his fingertips. Combine mastery of keyboard technique with decades of real world experience playing with no one less than the most celebrated artists of the last half century, and it's no wonder Green has been hailed as perhaps the most exciting, hard-swinging, hard-bop, pianist to ever emerge from Art Blakey's Jazz Messengers. 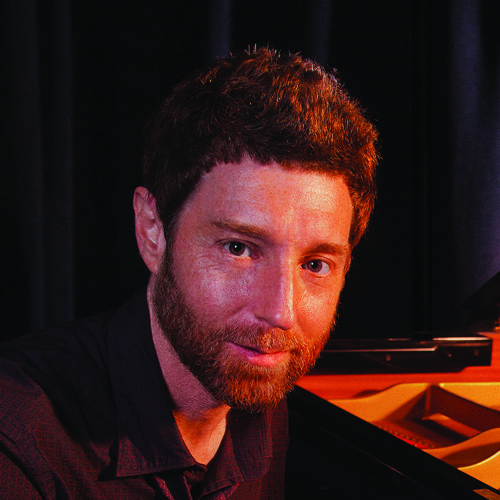 Born in New York in 1963, Benny Green grew up in Berkeley, California, and began classical piano studies at the age of seven. Influenced by his father, a tenor saxophonist, his attention soon turned into Jazz: "I began trying to improvise on the piano, imitating the records I'd been hearing from my father's collection, which included a lot of Monk and Bird... it was a gradual process of teaching myself". Benny played in school bands before hooking up with Jazz singer Fay Carroll: "That was good training for me in terms of accompaniment and learning about the blues, and she also gave me a chance to play trio, opening for her every night". As a teenager he worked with Eddie Henderson, and got some big band experience with a 12-piece group led by Chuck Israels. After his graduation, Benny freelanced around the bay area for a year, and then moved to New York in the spring of 1982. Back in the Big Apple, he met veteran pianist Walter Bishop Jr.: "I began studying with him and he helped point me in the direction of developing my own sound, and he also encouraged me to check out and study the whole scope of Jazz piano history, so I could get a sense of how I was to fit in". After a short stint with Bobby Watson, Green worked with Betty Carter between 1983 and 1987. Afterwards, at the age of twenty-four, Benny Green joined Art Blakey's band. He remained a Jazz Messenger through late 1989, at which point he began working with Freddie Hubbard's quintet. In 1993 Oscar Peterson chose Benny as the first recipient of the City of Toronto's Glen Gould International Protégé Prize in Music. That year, Green replaced Gene Harris in Ray Brown's Trio, working with the veteran bass player until 1997. From 1997 on, Benny resumed his freelance career, leading his own trios, accompanying singers like Diana Krall, and concentrating in his solo piano performances. As a leader of his own groups, Benny's recording career began with two albums for the Dutch label Criss Cross: Prelude (1988) and In This Direction (1989). In 1990 Green started recording for Blue Note: Lineage (1990), Greens (1991), Testifiyin' (1992), That's Right! (1993), The Place To Be (1994), Kaleidoscope (1997) and These Are Soulful Days (1999). He has also recorded for Toshiba- Funky (1997)-and for Telarc with Oscar Peterson- Oscar & Benny (1997). In 2000, his debut recording on Telarc Jazz entitled Naturally was released, which featured bassist Christian McBride and guitarist Russell Malone, musicians who have both inspired and challenged him to explore new territory. It was recorded just days after an acclaimed performance at the 2000 IAJE Conference in New Orleans. With the release of Green's Blues, Benny returned to his roots and updated the tradition with an exciting solo collection of jazz standards by Fats Waller, Duke Ellington, Erroll Garner and George Gershwin, among others, with his highly personal style. 2003 marked the release of Jazz at the Bistro (Telarc), a duo recording with guitarist Russell Malone, dedicated to the memory of the late jazz bassist Ray Brown. The Los Angeles Times called the recording "an electric fusing of complementary styles," and "a musical tête-à-tête between two of the jazz world's most gifted contemporary artists." The superstar duo returned a year later with a highly anticipated follow-up, Bluebird, which also arrived to critical success. Along the way. Benny has appeared on a guest performer on over one hundred (!) recordings, from albums with legacy artists such as: Betty Carter (including Grammy award winner Look What I Got), Art Blakey & the Jazz Messengers, Freddie Hubbard, Bobby Watson, Milt Jackson, Diana Krall, and he is particularly featured in Ray Brown's trio series of CD's for Telarc: Bass Face (1993), Don't get Sassy (1994), Some of my Best Friends … (1994), Seven Steps to Heaven (1995), Super Bass (1996) and Live at Sculler's. (1996)Benny also enjoys working with next generation artists, such as Japan's young drum virtuous and Columbia / Savoy artist, Tiger Onitsuka, with whom he recorded A Time in New York in 2008. In 2009, the acclaimed pianist completed a ten-week engagement as the musical director of the Monterey Jazz Festival All Star 50th Anniversary Tour. In 2010, he was a featured performer with Dizzy's All Star Band, and in the fall, embarked on a highly acclaimed Scandinavian tour with Swedish jazz guitarist and Oscar Peterson Quartet alumni, Ulf Wakenius. Benny also makes frequent appearances in Japan, where he is often asked to engage on extended tours. Benny also continues to be a much in demand guest artist, leading repeat workshops and masterclasses at such educational institutions and music clinics as the Juilliard School, Interlochen, the Monk Institute, Eastern Washington State University, Jazz Camp West, Snow College, Centrum and the Brubeck Institute, all of whom host students who express eagerness and enthusiasm with each return engagement. In 2011 Benny released a much-anticipated Trio album, with whom he has recorded with Kenny and Peter Washington, and which serves to remind the world that no contemporary jazz pianist owns the trio format like Benny does. 2011 also marked the premier tour of a long developed project, MONK'S DREAM: 50 YEARS FRESH, billed as 'A Celebration of the Expanding Musical Universe of Bebop'. With MONK'S DREAM, Benny and band pay homage to the legacy and the man that is his first and most significant musical hero, Thelonious Sphere Monk. A perpetual student of the history of Jazz piano, the pianist mentions Erroll Garner, Ahmad Jamal, Phineas Newborn, Bud Powell and Oscar Peterson as some of his main influences. Benny Green's approach to Jazz can be resumed in his own words: "... for myself and a lot of musicians I admire, the main focus is to just swing and have fun, and share those feelings with the audience ... and, if I'm able to convey that, then I feel like I'm doing something positive".